Hey Tampa, it’s Melissa here. I know it’s been a while but I am back and ready to tell you guys about Dinoquest, a special exhibit opening at Tampa’s Lowry Park Zoo this February. This limited time outdoor exhibit begins February 9th and roars right into the spring, ending on May 1st of this year. 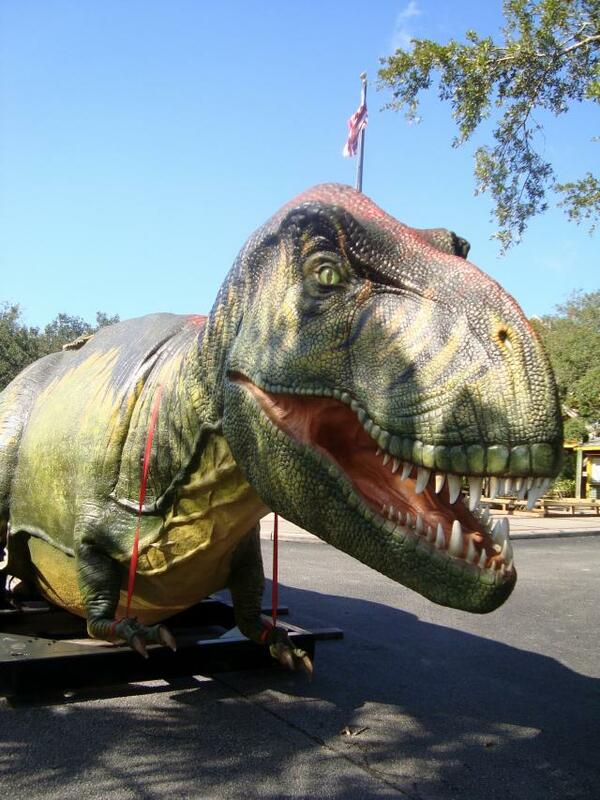 On select days and nights huge interactive dinosaurs will be taking over the zoo. Sounding and looking real, prehistoric creatures such as the Tyrannosaurus Rex and Brachiosaurus will be available for visitors to stand eye-to-eye (more like eye to foot) with the amazing life-size displays. More pricing info can be found on the zoo’s website. Located in a lakeside forest setting, Dinoquest will truly be unlike any other dinosaur display featured at the zoo in the past and anyone interested in dinosaurs or any other prehistoric creatures should not miss this exhibit. Well, there you go, that’s a rundown on Dinoquest; make sure to check it out! And as always, keep checking back here for more about things to do in Tampa Bay and Tampa Bay Area Events.